Obviously named for Central America's largest soccer stadium, Cuscatlan Comida Salvadorena is a no-frills hideaway that looks like it belongs in Big Bear (i.e. it's old), but is really on Escondido's main drag, where the former pizza-slinging owner realized his long-held dream of getting rid of the pizza joint so he could open a place that serves the traditional food of his homeland... and pizza. 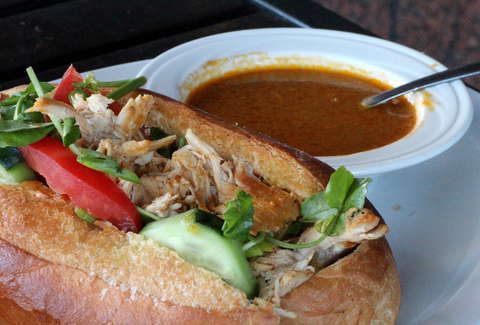 El Salvador's version of a French Dip, the Pan Relleno (pictured up top) is a hollowed-out, house-baked French roll loaded with shredded chicken/veggies, and served with a dip (which they also recommend pouring over the whole shebang) of peanuts, sesame seeds, bell pepper, tomato onion, and achiote. 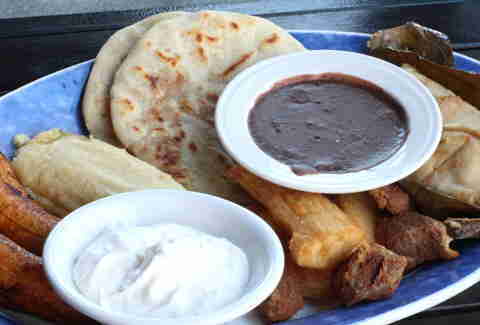 Those wearing elastic-waisted Bugle Boys will want to smash on the Cuscatlan Sampler with chicharrones, fried yuca, sweet corn tamales, banana leaf-wrapped chicken or pork tamales, and two of the stuffed pupusas with chicharron, beans & cheese. 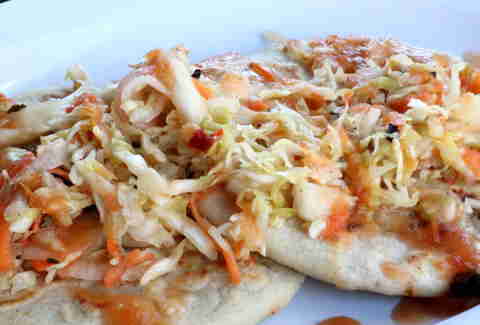 Or order those separately and they'll serve it with a housemade coleslaw and douse it in a traditionally mild salsa they can spice up with hot sauce, if you're culturally insensitive enough to ask for it. 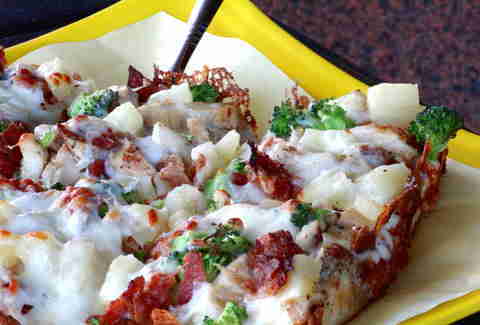 Given his old pizza joint was the super-humble World's Best Pizza, he's obviously continuing to bake up their signature square deep-dish pies like the Mikey's “OG” with white mushroom garlic sauce, chicken, broccoli, pineapple, and smoked bacon. 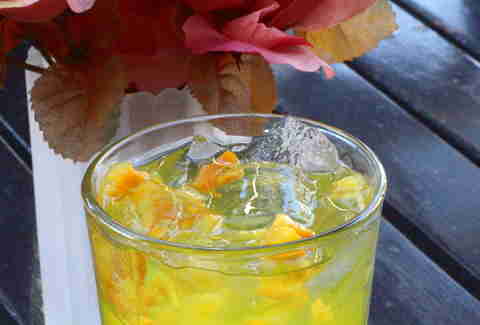 Going native with the drinks, the menu's stocked with traditionals like the drinkable fruit-salad-in-a-cup Ensalada: pineapple juice with chunks of mango, pineapple, apple, and Marañón, also known as the “cashew apple”, meaning it's really nut fruit... AmIright?!? No? Sigh.